The Code Enforcement Permit Desk is located on the first floor of City Hall Commons at the corner of South Warren Street and East Washington Street. Free parking for up to 2 hours is available for customers using the Permit Office. 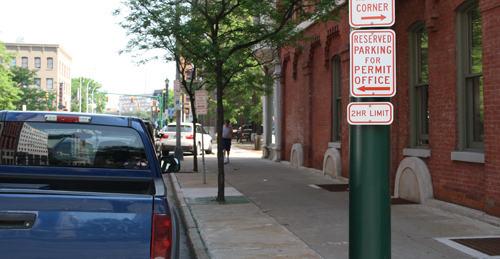 Free parking for up to two hours for customers using the Central Permit Office is available on South Warren St. just north of East Washington Street on the right.